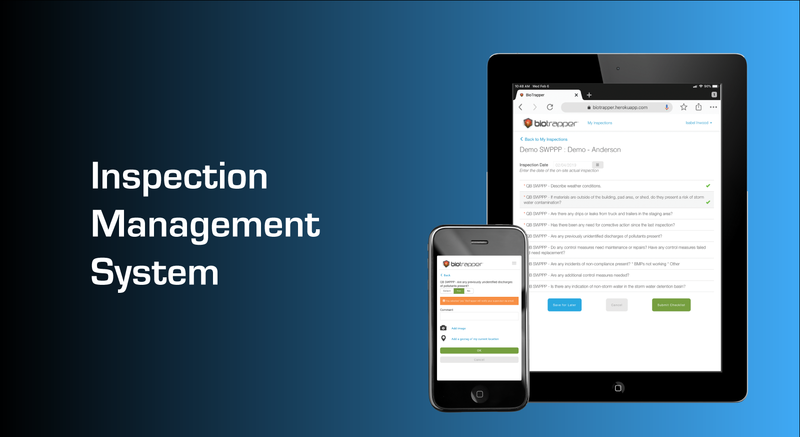 Using Biotrapper, you can set up multiple inspection reminders that can be e-mailed to inspectors and supervisors so that you won’t forget important inspections. Inspection results are e-mailed to supervisors as soon as an inspection is submitted. Supervisors can also create and print reports with any data submitted through Biotrapper. 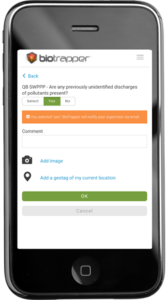 In Biotrapper, inspectors can geo-tag items at large sites to avoid confusion. They can also attach pictures to inspections. Have you ever missed a required inspection? Received field data that are clearly incorrect? Received documentation of deficiencies weeks, or months, after an inspection? Or, repeated documentation of a deficiency before it is communicated to you? BioTrapper offers solutions to these and other problems associated with manual collection of information and data. Dave Comen is an industrial hygienist who founded Artisan Consulting in 2010. He is both a Certified Industrial Hygienist and a Certified Hazardous Materials Manager. He wanted a data management software that was practical and based on needs that inspectors faced in the field every day. So, Dave used his 35+ years worth of knowledge of manufacturing, construction, and consulting experience in environmental, health, and safety issues to create Biotrapper.